We are at the moment all feeling the weight of summer on us with temperatures hitting the high 40’s and even sometimes hitting 50 during the peak hours. Here are some tips to make your car rental service more enjoyable during the hot summer months. 1- Should you have to leave the car outside please use our sun shade (provided in the vehicle) to block the sunrays from hitting the dashboard and steering wheel. This will allow you to drive the car straight away without having to cool the steering wheel or the seats should they be leather. 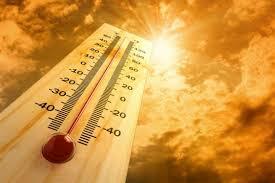 2- It is advised to always switch off the ac before switching off the car. Only start the ac after turning on the car and allowing for the stagnant air in the vehicle to exit by opening the windows. Since most cars have plastic components this will help in reducing the amount of BPA’s one breathes. 3- At Calder rent a car we are always doing thorough checks on the vehicle before delivery but as with most things mechanical things do happen in those extreme conditions. So as such like any responsible driver a quick visual check of the vehicle is advised before setting off every time. Things to check are the tires , indicators , lights , mirrors , and if time permits from time to time the coolant levels and oil levels. You cal always bring the vehicle to our offices where we will gladly have our maintenance team check the vehicle for you. 4- Since a lot of our esteemed clients are not from UAE and Dubai, it is important to note that organic materials tend to decay 3-4 times faster in a vehicle specially here. It is a matter of personal safety that all your grocery shopping is quickly taken to your home or safe storage immediately. At no point should meat or any organic material be left stored in the vehicle at any time. 5- Children and pets are particularly at risk in such a weather. We urge everyone to please make sure you never leave anyone alone in the car running while going somewhere even if the ac is running. A lot of things can happen and a tragedy can happen at anytime . 6- Dark colour cars tend to heat up much much quicker in hot weather and as such take a bit longer to cool down. In order to speed up the process put all the windows down and switch on the fan only for 2-3 mins to vent the hot air and then close all windows and switch on the ac. 7- Be advised that idling is an offence in the UAE so leaving the car on with the ac without moving is punishable by law with a fine. So its best to park the car in a shaded place or use the above tips to cool it down as quickly as possible.